It’s beginning to look a lot like christmas! 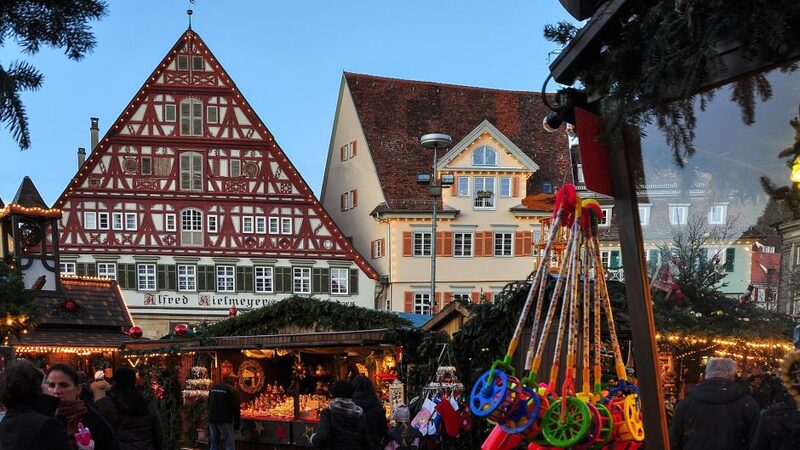 To get in the Winterwonderland- christmasspirit, we want to go to the christmas market in Esslingen. The special thing about this is that the christmas market is a medieval market as well. Which means besides the typical mulled wine you can also get tasty mead and a little journey through the time to the past of this beautiful city. We will meet at 2.20pm in the entrance hall of the main train station in Tübingen and we will take the train together to Esslingen. There, you will get enough time to discover the market and enjoy one or more mulled wine. We will be back in Tübingen around 7.30pm (you need to travel back with us, otherwise you will have to get an extra ticket). Looking forward to getting in the season spirit with you!